Amish Patio Furniture | Amish Originals Furniture Co.
No matter what kind of outdoor area your home has, whether it’s an apartment balcony, a suburban patio area, or a rural front porch; spending time outdoors is relaxing. Let Amish Originals help make your outdoor space comfortable and complete with our high quality Amish Patio Furniture. 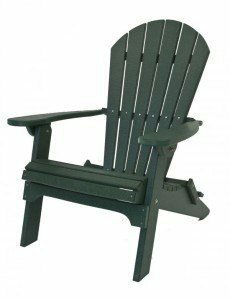 Working closely with over 70 Amish craftsmen, Amish Originals provides you with functional, beautiful and durable Amish patio furniture. Crafted from either treated pine or poly lumber, our patio furniture is built to last. Summer weather can be unpredictable and Amish Originals wants to make sure your patio furniture isn’t going to blow away with the first storm. This means that no matter what kind of Amish patio furniture you’re looking for, Amish Originals can help you complete your outdoor space. Looking for something a little different? Our craftsmen can custom make your perfect piece for the patio. At Amish Originals we are ready to help you find exactly what you’re looking for! Visit our showroom in Westerville, Ohio to see the many styles of Amish patio furniture we offer. Can’t make the trip, or wanting to get an idea of what we offer before you visit? Our online inventory gives you a great idea of what we offer. We are always ready to step up and answer any questions you may have about our furniture so don’t hesitate, contact us today!